The View | HarlemGal Inc. The ladies from ABC’s The View will be in the kitchen soon with Harlem’s Melba Wilson, the owner of Melba’s Restaurant on 114th Street and Frederick Douglass Blvd! 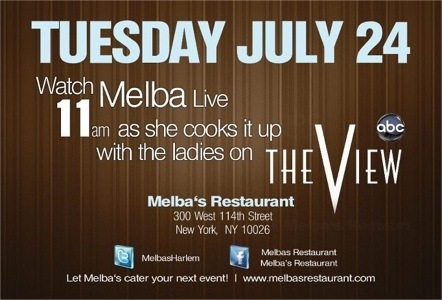 On July 24, Melba returns to the morning talk show where she “will cook it up” with the ladies on The View. Way to go Melba! Details are below! Thursday, January 26 is a big day for Harlem’s own, Melba of Melba’s Restaurant located on the corner of 114th Street and FDB in Harlem. First, Melba will be on The View, which starts at 10 a.m. on Channel 7. 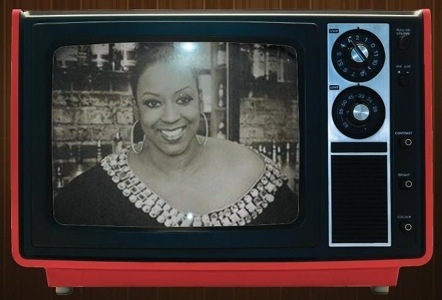 Then later in the evening, Melba will be appearing on the Food Networks’ Fat Chef starting at 10 p.m. on Channel 50 for Time Warner subscribers. Fat Chef will be showing every Thursday for the next couple of weeks. 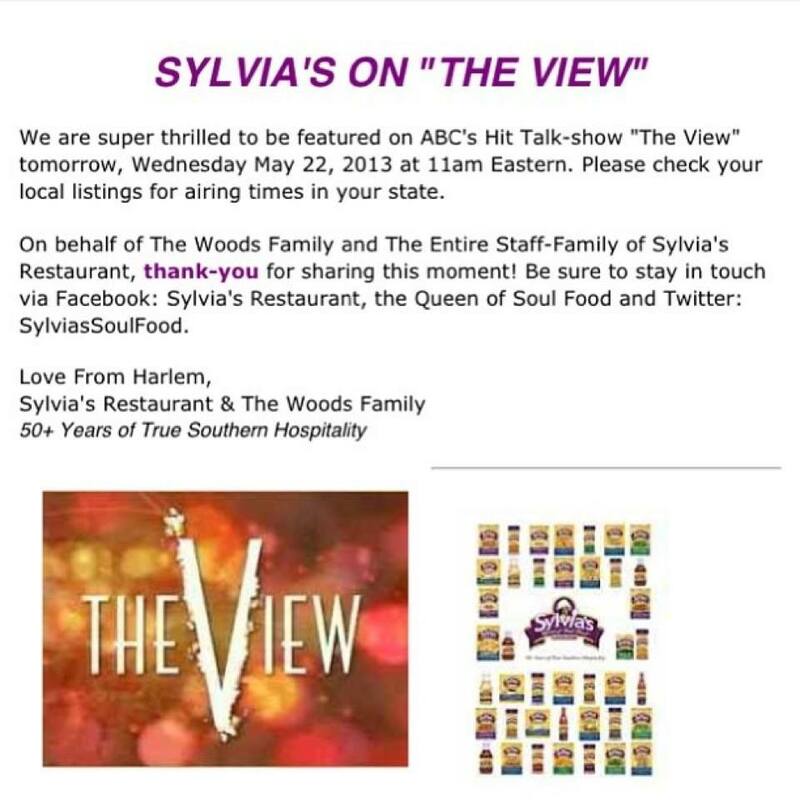 Let’s all turn out and support Melba by watching her at 10 a.m on ABC’s The View. Then 12 hours later at 10 p.m. on Fat Chef. Catch you on the tube Melba! I just read on Facebook that the fabulous woman behind Melba’s Restaurant, i.e. Melba, will be on The View this coming Thursday, January 26 at 11 AM. That is so awesome! I think the show should be called, that day, the HarlemGal’s show! Why? Two awesome ladies, who reside in Harlem, will be sitting side by side, Sherri Shepard and Melba! Can’t wait to watch The View this Thursday!